There are some nonfiction books that encompass themes far beyond their particular subject matter. 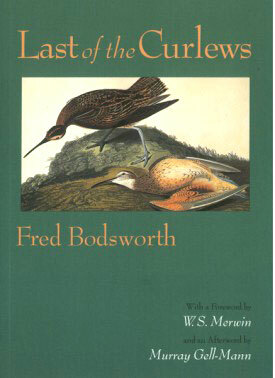 Last of the Curlews by Fred Bodsworth is one of those books. The curlew set his wings and dropped stonelike in a series of zigzag sideslips. The rosy pink reflections of ice pans on the brown river rushed up toward him. Then he leveled off into a long glide that brought him to earth on the oozy shore of a snow-water puddle well back from the riverbank. We soon learn that the curlew has come to this spot for three years without ever seeing another of his kind. Even as hundreds of other shore birds arrive and feed and nest, the curlew remains alone. As time passes and the short mating season comes to an end, the curlew instinctively knows it’s time to migrate south, and so begins his journey. Typically he would join a flock of other Eskimo curlews, but there are none to be found, so he takes off on his own. 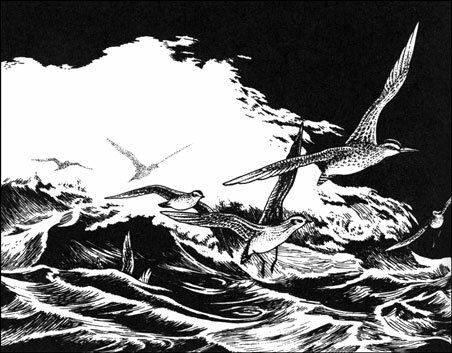 In flight, he encounters a flock of golden plovers, powerful birds who follow a similar flight path as the curlew, and so he joins them and they accept him without question. Flying as part of a flock is hugely beneficial, especially during the most treacherous part of the flight, the 2,500 miles non-stop across the Atlantic ocean to South America. In the following passage, they face freezing temperatures and zero visibility. The snow clung to their wings, packed into the air slots between the flight feathers. Wings that a few minutes before had responded deftly to the gentle, rhythmic flexing of the breast muscles were now heavy and stiff, and they beat the air futilely like lifeless paddles, driving air downward in a waste of energy instead of deflecting it rearward for the horizontal airflow essential to flight. Their flight speed dropped until they were hovering almost motionless in a disorganized, bewildered cluster, now almost a mile above the sea. As the book continues, we witness the harrowing flight across the ocean, the arrival along the coast of Venezuela, and the continued journey south to Argentina. After this arduous trip of over 9,000 miles, it is soon time to head back northward again, back to the Arctic tundra in another attempt to find a mate. The descriptions of the journey are so immediate and harrowing, the narrative becomes an emotional page-turner, as you wonder if the lone curlew will survive. Although written in 1954, this book feels even more relevant today, and inspires larger questions about the meaning of existence. Why does the curlew continue to make this treacherous journey every year, with little or no hope of finding a mate? With the fate of his species on the line, wouldn’t it be wiser to play it safe, to adopt the habits of a less ambitious seabird? Or would that be giving up his true nature, his sole purpose in life? There are so many moments along the journey where the curlew might easily perish, and yet he perseveres. Like so many other creatures facing extinction, he doesn’t give up. Would I be as steadfast in such a situation? Would any of us? The beauty of this book is that it does not offer analysis or proselytizing, it simply tells a story with great detail and power, and the themes emerge naturally. It’s the story of one bird, but it’s also the story of all of us. 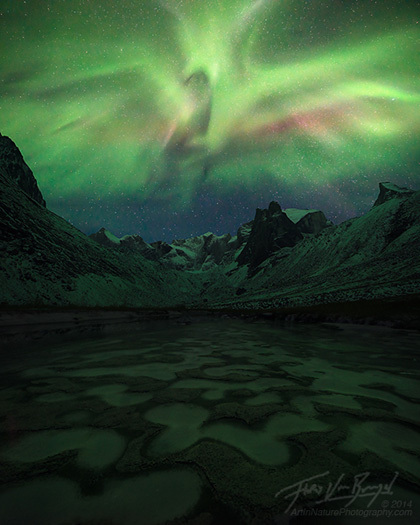 Nature has provided inspiration for countless musicians over the centuries. Award-winning composer Douglas Knehans has just released a new CD entitled Unfinished Earth, which evokes the raw and powerful forces of nature. It contains two works, the first is called Tempest, a concerto for flute and orchestra inspired by three specific winds. The first part is entitled Ostro, which is named for a southerly Mediterranean wind. The second part is Mistral, a powerful wind blowing from southern France into the Mediterranean that can reach speeds of 115 mph (185 kph). The third part of the piece is called Etesian, inspired by strong dry winds through the Aegean Sea. Gareth Davies, Principal Flute of the London Symphony Orchestra, talks about this challenging piece in the video below. 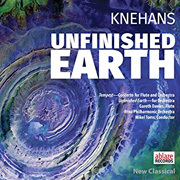 The other major work on the CD is Unfinished Earth, a work for orchestra comprising of three movements. Part 1, Tempering, is inspired by the formation of the earth itself. The music is in turns tranquil and explosive, always with a sense of motion, of elements shifting and coming together. The second part, Eternal Ocean, is inspired by the sea in all its vast, flowing serenity. The final part, Tearing Drift, is about the formation of the continents, a thunderous soundscape with moments of quiet calm that build to a dramatic climax. These monumental forces of nature are almost beyond human comprehension, even when we know scientifically why things happen the way they do. Music is a powerful way to explore such forces, to bring us to a deeper understanding of their true essence. Mikel Toms, who conducts the Brno Philharmonic Orchestra on these recordings, says that Unfinished Earth is unlike anything he has ever conducted before, and follows in a rich tradition of artists inspired by landscape for their work. See his interview below. The earth truly is “unfinished,” and is still moving and changing beneath our feet. Our cities and monuments, which we’ve built over centuries, seem fragile and almost trivial in comparison to the seismic forces beneath the earth’s surface. And we humans seem even more fragile, which can be a scary thought. Perhaps we can never truly appreciate the larger forces of nature, but the music of Unfinished Earth brings us closer. To learn more or purchase the CD, visit this link. 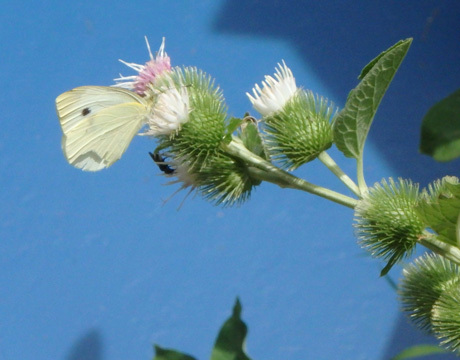 Hello nature friends, welcome back to my blog! I’ve been taking a break from here lately, as other projects have pulled me away. 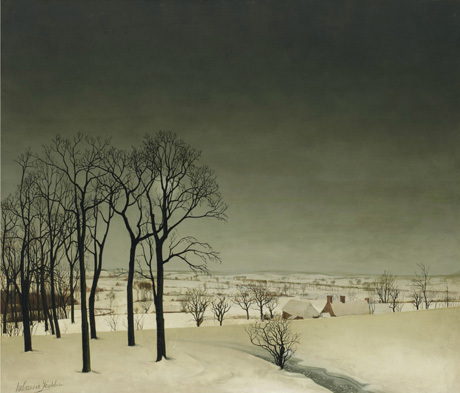 The original purpose of this website was to discuss works of art that are influenced by nature, in all media. But it takes a lot of time to properly research and write about each topic. Over the past five years, I have seen a huge increase in books and media about nature, so there is obviously an interest among both creators and consumers. But we (as a society) still seem to hold nature at a distance, as something to visit and appreciate in very controlled situations, while we continue our lives set apart. We like nature, but we aren’t necessarily close to nature. 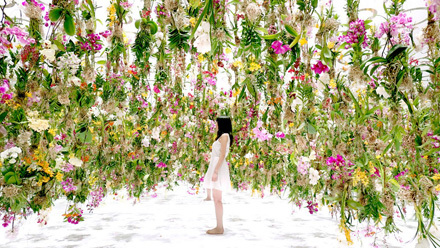 That’s something I hope this blog can help remedy, by showing how art can bring us closer to nature. I hope to wrote here more frequently in the future, as I think there is a lot to discuss. 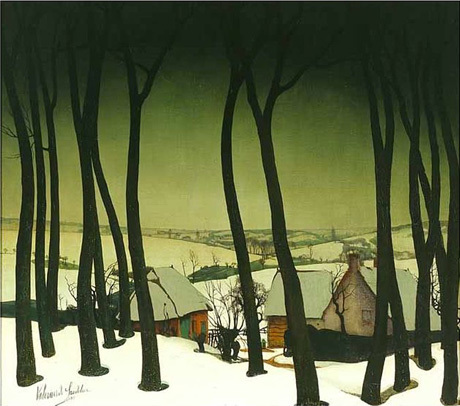 For now, I will leave you with the magical winter paintings of Belgian artist Valerius de Saedeleer (1867-1941.) 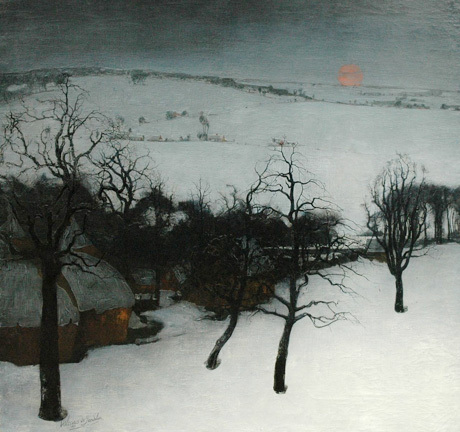 There is a cold stillness to his work, but also a warmth. Nature is frozen but alive, asleep but awake. 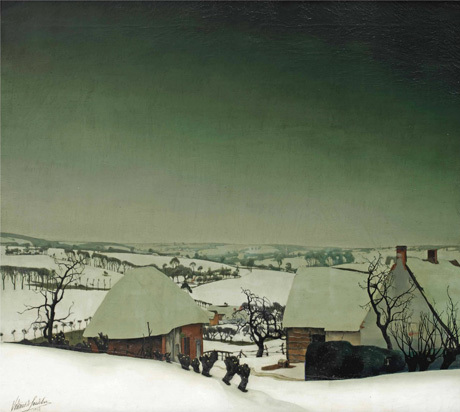 His compositions are striking in their stark angles, their mix of large empty spaces and crowded detail. You can see more of his work here. 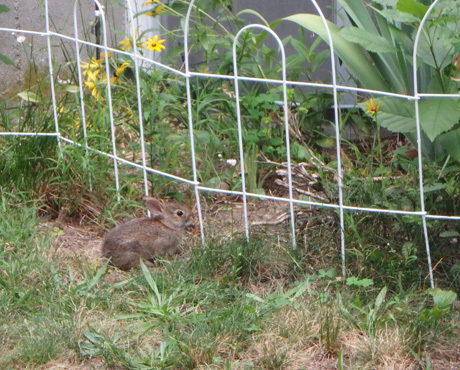 The Untended Garden has been truly untended lately. I’ve been focusing on other writing projects this year, and it’s been hard to find time for this blog. That doesn’t mean there haven’t been plenty of nature-inspired books, art, music, films, and other media to talk about. In fact there’s almost too much. And the internet does a great job at letting us share these amazing things. It makes me wonder about the direction of this blog, and where I want to take it. 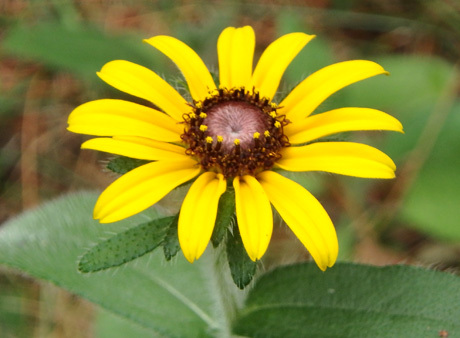 Eventually I will come back to it regularly, but for now, here are a few recent nature photos of my own. I’ve been thinking a lot lately about the small moments in nature, and how they often seem to encompass the entirety of the natural world in their own way. The smallest flea struggles to survive, just like a bird, or a lion, or a whale, and they all play their own part in the giant tapestry of the natural world. I also think that the more we understand the natural world around us, the better we can understand ourselves. I put some of these thoughts into an article about how to reconnect with small moments in nature. 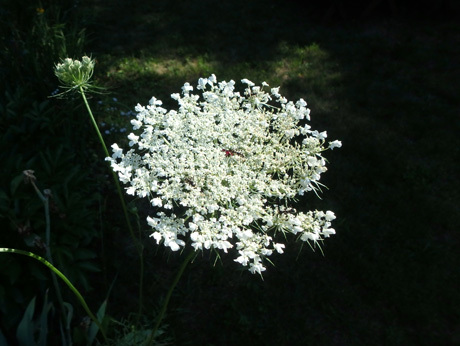 I call it The 60-Second Nature Challenge, a way to observe the tiny pieces of nature in order to better understand the whole. You can read it here. That’s all for now, I hope you can all get outside this summer, and find your own inspiration! 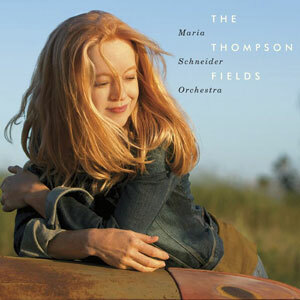 Her work incorporates elements of jazz and classical music, with improvisation from the musicians in her ensemble. 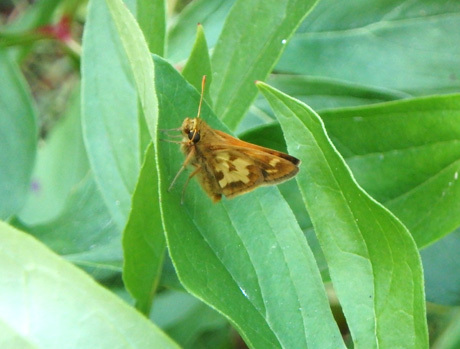 Tracks like “Walking by Flashlight” and “The Monarch and the Milkweed” evoke nature and the feelings one experiences in nature. The album was developed through the ArtistShare web community, which allows artists and fans to connect and support each other. It has recently been nominated for a Grammy Award. Here is the full interview with Maria on NPR’s Here and Now. Here is an excellent profile in the New York Times from 2013. This is my last post for 2015 at The Untended Garden. This site has been a little more untended than usual lately, but I hope to get back to it more in 2016. It seems like more and more people are rediscovering nature as a balance to the world of technology we live in. 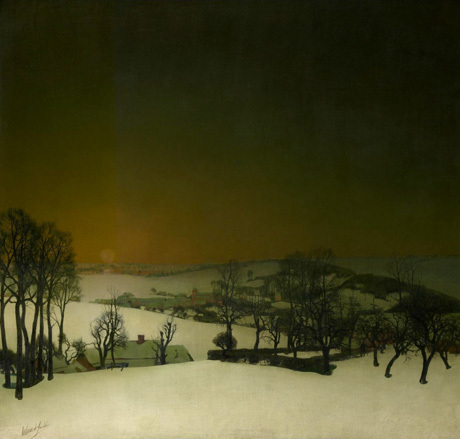 Artists have been in touch with nature since the beginning of time, and I think they can play a big part in our understanding of the natural world. I’ve been neglecting this blog in recent months, as I’ve been trying to focus on my art and writing. Thank you to all my loyal readers for staying connected. I have a backlog of interesting artists to feature in the coming year, so stay tuned for more posts. Today I want to tell you about some artists who are supporting nature directly through their art. 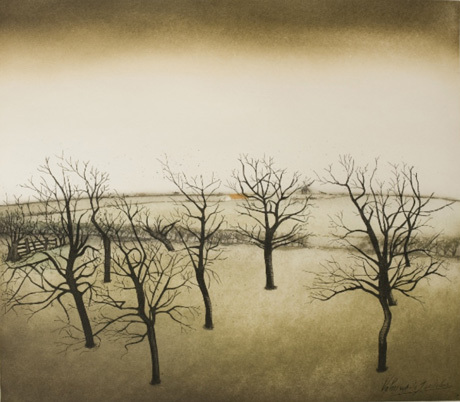 Cathy Berman has long had an interest in art and the environment, and after retiring she founded a website called For Mother Nature, which features artists who donate some or all of their proceeds to environmental causes. Below are three of the artists on the website. 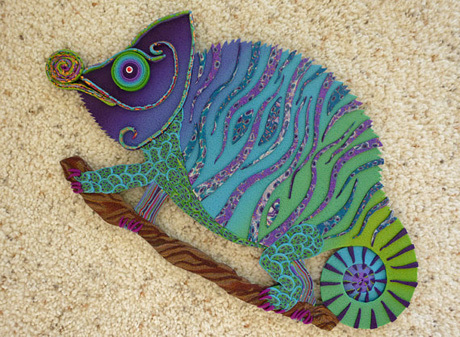 Ann Kruglak, who creates sculptures in polymer clay, donates all of her proceeds to the Rainforest Trust. Her donations have saved over 200,000 acres of rainforest. Floris van Breugel is a landscape and wildlife photographer as well as a scientist, who has traveled all over the world capturing images of nature. His work supports the International League of Conservation Photographers. 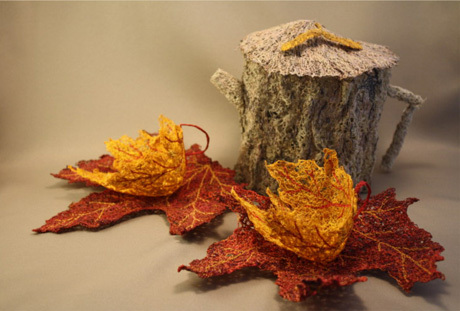 Eileen Doughty creates quilts and intricate sculptures out of thread, focusing on the concept of “place”. Her work supports The Potomac Conservancy. 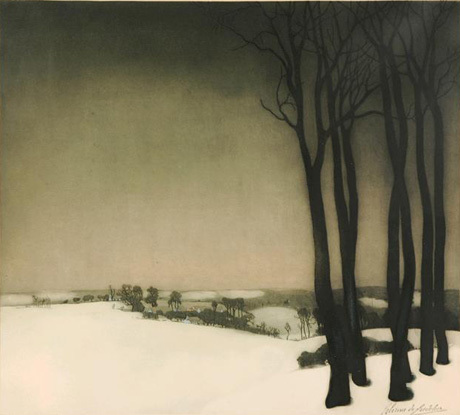 If you’re looking for more ways to support the environment through art, check out Artists for Conservation. Also the National Wildlife Federation has an online store where you can adopt a polar bear, plant a tree, and support our earth in many ways. 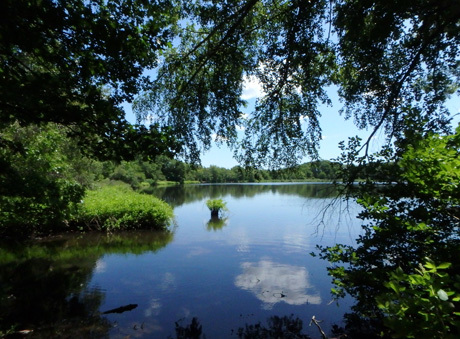 Do you know other artists or organizations who support nature through their work? Share them in the comments! The kinetic sculptures of Theo Jansen are unlike anything else in the world. They seem to defy category, they are art and machine, but also works of theater on a grand scale. And although they are are not sentient beings, they seem to have a life all their own, and people connect with them. 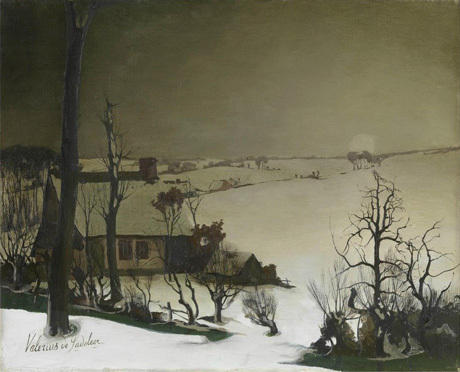 The Peabody Essex Museum in Salem, MA, is featuring the first major American exhibition of Jansen’s work, before it travels on to Chicago and San Francisco. In a statement on his website, Jansen says he is trying to create “new forms of life” with his sculptures, and seeing them in action makes you think he might actually get there. Part of the magic of these creatures is that they are self-propelled, and their limbs seem to move like those of animals or insects, and yet their movements are unique to themselves. It is truly like seeing a new species, and it makes us think about what it means to be “alive.” Designed to walk on the beach, some of his creations can detect when they are walking on wet sand, and thus avoid going into the water. There is a kind of artificial intelligence here. How much “intelligence” is necessary before we say that something is alive? 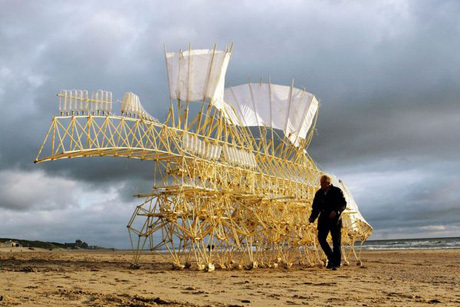 Computers have far more artificial intelligence than the strandbeests, and yet because they move around like giant animals, we somehow relate to them more as intelligent beings, we want them to be alive. From a purely visual standpoint, it amazes me how “natural” these creatures appear, both in their structure and movements. Despite the fact that they are entirely built from human-made materials (PVC pipes, plastic bottles), they seem like creatures that could occur naturally in the world. And yet some of their parts are purely mechanical — no animal uses a wheel and piston to propel their legs. In the film, Jansen says, “To make my animals, I try to make a new nature, I don’t want to copy the existing nature, but it’s hard to avoid that.” He finds that when he designs the working parts of his creatures, he inevitably winds up with elements like those of living creatures — bones, muscles, legs — because that is the most efficient way to propel an object over uneven ground. He thinks of his creatures as going through their own evolution as he perfects them, much the way nature itself has gone through evolution over a much longer period of time. The exhibit will run from September 19, 2015 through January 3, 2016 at the Peabody Essex Museum. And here is a lecture by the artist at the University of Michigan in 2008. 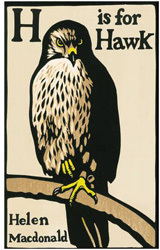 I recently finished the audiobook of H is for Hawk, written and read by Helen Macdonald, and immediately wanted to write about it on my blog, to share this extraordinary book with the world. Then I discovered that it was an international bestseller, winner of numerous awards, and apparently everyone already did know about it, deservedly so. I was actually surprised to learn it was a bestseller, not because it isn’t good, but because it’s so unique, so personal, so specific. For those of you who aren’t familiar with the book, it is a memoir about the author’s efforts to train a goshawk after her own father’s death, weaving in a biographical account of T.H. White and his less-successful attempts to train a goshawk while dealing with his own life issues. What inspired me most about the book was that it combined such obscure and personal narratives into something universal. Most of us know very little about hawk training, much less about T.H. White. Yet these things were meaningful to the author, and brought out larger narrative themes that everyone can relate to, like love and loss, and primal instincts that have no name. Some have argued that it isn’t really a nature book, because nature is something wild and untamed, while the main focus of this book is a tame and captive hawk, which does most of its hunting in suburbs and college campuses. But I think there is still a wildness to this hawk, and this book, which explores powerful themes of nature and what it means to be animal or human. Nature may be at its most elemental far from civilization, but sometimes a thing has to be pulled out of context in order to study it and see it in a new light. So while the book straddles the worlds of humans and animals, the themes of wildness and nature are still very much present. 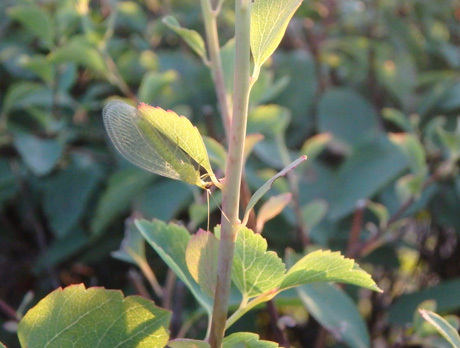 So, what exactly constitutes “nature writing”? It depends on who you ask, and the topic has received much debate lately, but I will save that for another post. 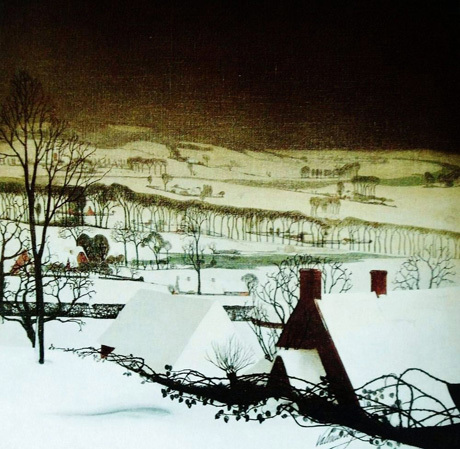 For now, you can read an interview with Helen Macdonald here, and also here. And here’s a video interview from the Sydney Writers’ Festival. 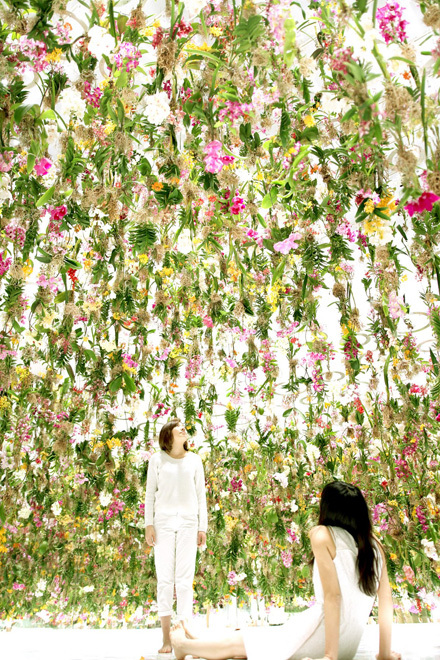 Over 2,300 flowers are suspended from the ceiling, and as the visitor walks through the garden, the flowers rise upwards, creating a dome of space. 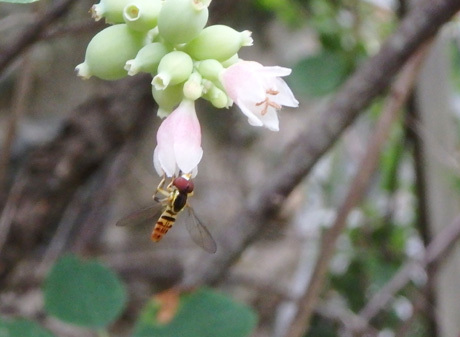 The scent of the flowers is constantly changing as well, as each scent increases when the flower’s partner-insect is most active in the wild. It is currently on display at the National Museum of Emerging Science and Innovation in Tokyo. More images and information here. Happy Spring! 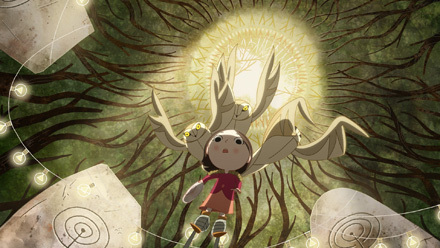 The new animated film Song of the Sea is an artistic triumph, and its strong connection to nature only enhances its power. 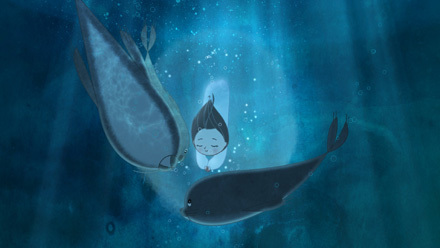 The story is based on the legendary Selkie, a creature who can change from a seal to a human and back again. Inevitably this pulls in themes of the nature, humans’ relation to the sea, and what it means to be human ourselves. 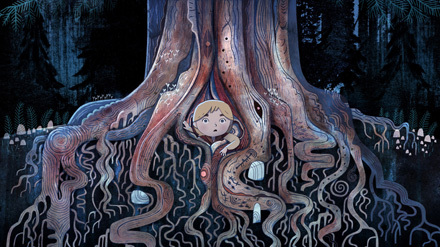 The film was produced by Cartoon Saloon, whose first feature The Secret of Kells was reviewed on this blog a few years back. I don’t want to give away any of the wonderful surprises in the new film, but I will talk about three things that make it especially powerful in relation to themes of nature. The folklore in the film draws from ancient tradition, and a time when stories were used to explain the mysteries of the world. By entwining the lives of humans and animals, folk tales convey an interconnectedness that is largely lost in today’s world. Science tells us more about nature than we ever knew before, but folklore lets us experience it on a more visceral level. 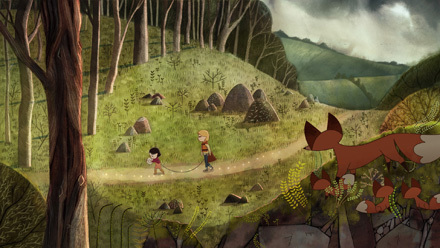 In a recent interview, director Tomm Moore says, “I felt it important to reinforce that losing folklore from our everyday life means losing connection to our environment and culture.” The film manages to bridge all of these worlds very effectively. Another way the film celebrates nature is through the animals. The big sheepdog, even though he doesn’t speak (which is refreshing in an animated film) is more perceptive than most of the humans, and serves as a link between the world of humans and the magical world of animals and fairies. The seals are another constant presence, beckoning the humans to sea, and helping them in their time of need. The film is populated with creatures of all shape and size, and the constant tug between land and sea is a central conflict and highlight of the film. Finally, the visual style of the film is not only gorgeous to look at, but has an organic quality that helps convey the natural setting. The watercolor backgrounds evoke the watery world of the sea, as well as the damp hills and landscapes of Ireland. The geometric abstraction of Secret of Kells gives way to a softer, more organic design sense, though the strong shapes and patterns make each scene a marvel of beauty and design. Nature is built on pattern and form, and the style of the film conveys this beautifully. Everything works together for the greater good of the story, which is not just about Selkies, it is about humans and families and never giving up on each other. We are all part of a bigger world, we are all connected, and that is a message worthy of any work of art. For more information about the film, visit the official website.